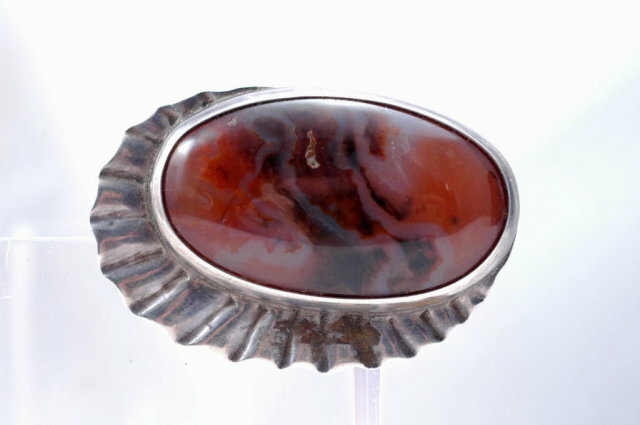 Very Large Agate & Sterling Pin Brooch. It appears to be hand made. The Moss Agate cabochon that measures 1 3/4" x 1". 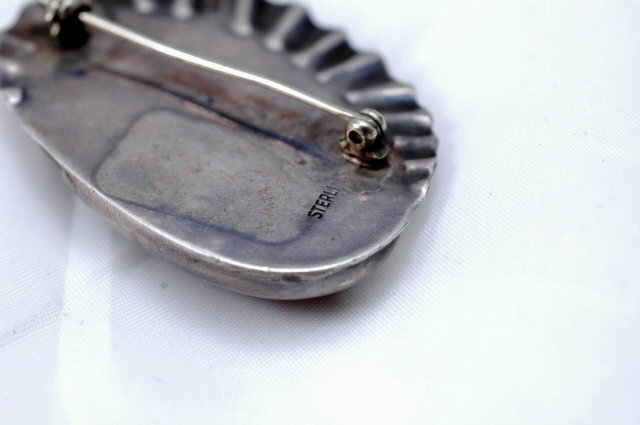 It is bezel set in a substantial asymmetrical sterling setting that is marked sterling on the back . The entire piece is 2" x 1 1/4" and weighs 18.5 grams. 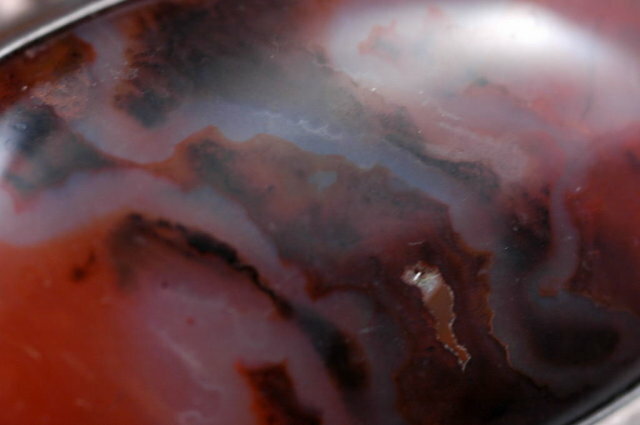 The agate is carnelian Redish browns with swirls of dark brown and milky look white streaks. There are a 2 inclusions noted on the surface that at first glance appear to be a scratch however a closer inspection proves that they are natural inclusion in the stone. Other than that the condition is excellent. The sterling silver is very dark with aged patina that can be polished up easily. If you wish I can polish to a gleaming shine upon purchase. 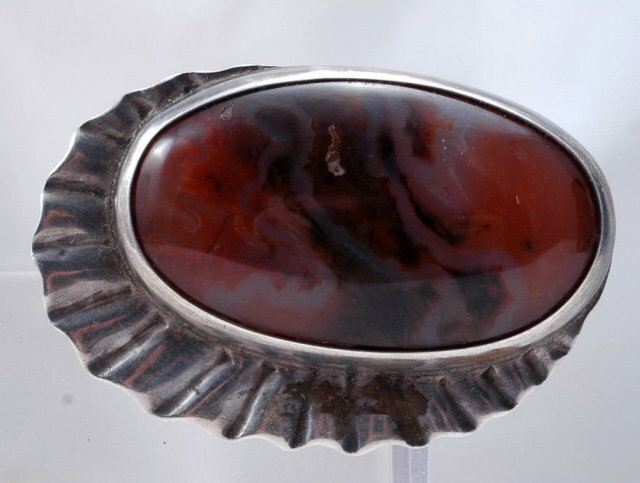 Items Similar To "Large Moss Agate & Sterling Pin Brooch "